When you buy a home, you’ll be faced with the choice to buy title insurance. If you have a mortgage, your lender will probably require you to purchase a Loan Policy but you’ll usually have the option to buy an Owner’s title policy as well. But that leads to some confusing questions which is why we created this guide. What is the Difference Between Lender’s and Owner’s Title Insurance? Lender’s Title Insurance is a policy that protects the lender from any claims on the title for the property you are purchasing. Because the Lender owns the property until you’ve paid them back, it’s extra security for them. Does Lender’s Insurance Protect Me? No, it only protects the Lender as the financer of the property. You will be required to buy the policy by most lenders as a requirement to borrow their money. Owner’s Title Insurance is a policy that protects you in case someone tries to make a claim on the property you purchased. The claim on your deed or “the document showing the property was transferred to you” can be anything from previous owners who owe taxes to unknown heirs. It is meant to protect you in case this arises. Do I Need Both Lender’s and Owner’s Title Insurance Policies? No, but it is always recommended. If something happens to affect the title, it could impact your ownership and make it difficult to sell when you are ready to move. In some cases you can even lose your home or the rights to your property which is why it is smart to buy these policies. Isn’t it the Job of the Title Company to Clear it? Yes, your title company does an exhaustive search of all of the past owners of the property and does their best to make sure any title issues were cleared up and handled. During the closing process, they’ll issue an Abstract of Title Search to show that the title is not clouded and is clear to be transferred. Even if you have the best company doing the research, it’s not foolproof and that’s where your policy comes in. 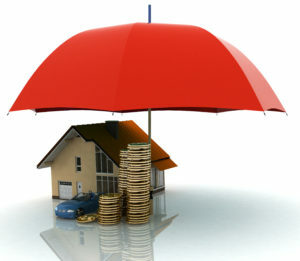 Protection Protects amount of lender’s investment Protects your total investment including your home equity.